INSIDE details of private jet deals of Triple H, the present Chief Operating Officer (COO) of WWE have set the bank account of this biggest wrestling event firm back to the sum of $32M, being the sum the management of WWE borrowed from RBS Asset Finance to purchase this latest air flight in the fleet of WWE. Naija Standard gathered that WWE entered into an agreement to purchase a new corporate jet for $27.5million. The 2006 Bombardier Global 5000 jet replaced the WWE’s current plane which is a 1998 Canadair Challenger. WWE has owned the jet since 2001. WWE is looking to sell the Canadair Challenger ‘at a higher price’. The plan calls for quarterly payments of $405,458 until the seven-year loan expires on August 7, 2020. Naija Standard observed that the agreement includes notes WWE’s use of the corporate jet. 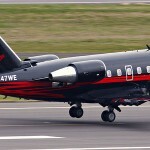 For example, WWE is not permitted to use the jet as a taxi service, or fly the jet in restricted airspace. It was also revealed that the primary hangar location is Westchester County Airport in White Plains, New York. Listed as the executor of the agreement on behalf of “WWE Jet Services, Inc.” is WWE CFO George Barrios.WWE is listed as the corporate guarantor of the loan. WWE reported in their 10-Q quarterly report that they have entered into an agreement to purchase a new corporate jet for $27.5 million. The report released notes that once the transaction is complete, additional improvements and taxes would run the final cost to $31-32 million. The 2006 Bombardier Bombardier Global 5000 jet has now replaced the WWE’s current plane which is a 1998 Canadair Challenger, which WWE has owned the jet since 2001. WWE is looking to sell the Canadair Challenger.